Idris Busari is a Nigeria-born, US citizen and entrepreneur. Busari enjoys singing and songwriting among other things. He is a radio announcer, photo, video and music enthusiast. Idris Busari is the founder and multimedia content manager at ResQ Records, PiKture Time Films and Michiana Beauty Products Online. He is an avid learner who loves to share. 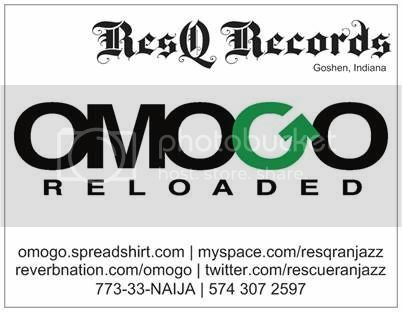 Here are our websites and social networks:Our label, ResQ Record(Music Publishing)PiKture Time Films(Videos Production)& Midwest's Finest(Promotions)http://resqrecords.webs.com/http://pikturetimefilms.webs.com/apps/memberhttp://midwestsfinest.webs.com/apps/memberhttp://generationnextmodels.webs.com/ttp://businesssearchstories.webs.com/http://indianasuperstarmodels.webs.com/These are Omogo Reloaded's website:http://omogo.webs.com/apps/memberhttp://getomogoreloaded.webs.com/apps/membersHere are Naija mom's websites:http://naijamom.webs.comhttp://learningyoruba.webs.comhttp://learnyoruba.weebly.com/http://getnaijamom.weebly.com/Other artistes on a promo deal with us:http://cqmusic.webs.com/apps/memberhttp://dabaze.webs.com/apps/memberhttp://naijadj.webs.com/apps/memberhttp://octanethehoodapostle.webs.com/http://excalibar.webs.com/http://lightridermusic.webs.com/http://yaboiKO.webs.comhttp://solokeys.webs.com/Support us. Share our links with your familyand friends.Get in touch if you're serious about your showbiz career.